The piggy in question is ‘evangelicalism’, a curious and misshapen beast, as piggies often are. But why is he ‘in the middle’? Let me try to explain. Suppose the question is this: how should an evangelical Christian orientate himself theologically? Where are his theological roots, from where is he to derive his identity? To many evangelicals, the answer is obvious. He has his identity from Scripture, (sola scriptura, perhaps even nuda scriptura), and especially from Scripture’s emphasis upon conversion, justification by faith alone, and the atonement. (Some say ‘from the Reformation’, and others ‘from the Evangelical Revival’ but in practice this usually comes to much the same thing.) All else is either ‘[secular] liberalism’, or ‘[Roman] Catholicism’. I was struck by the importance of this question, and by how seldom it is considered, when reading a piece by Iain H. Murray ‘The Church of England in Crisis’ in the Banner of Truth Magazine (October 2008). Murray is exercised by current problems in Anglicanism, GAFCON and all that, and particularly by how these might affect the status of the Church of England. But it is not this that made me think, and so here I shall definitely say no more about the rights and wrongs of these goings on. Rather it is the way in which Murray analyses the goings on, his approach, that seems typically ‘evangelical’, and for that reason unsatisfactory. 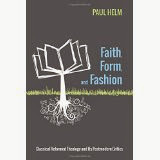 For it does not do justice to how the evangelical identity is formed or should be formed. This seems to me to be a much more difficult question to wrestle with. For one thing it’s not a question that evangelicals typically raise. So content are they to stay as they are that it never seems to dawn on them that evangelicalism has a ‘Catholic’ past that it is possible (and even necessary) to appropriate. Typically, the issues that such a question raises are not in the forefront of evangelical minds. Murray does not raise any of them, perhaps in his case because they are not questions about immediate denominational allegiance, which is the issue that interests him. But not to have them in view seems to me to be a weakness of his approach. For it’s a question the answer to which might very well inform an answer to the question about the choice of a denomination. It might make that choice much more difficult than Murray appears to appreciate. Murray has some unintentionally amusing remarks on the 39 Articles. He quotes the GAFCON Declaration’s words: ‘We uphold the Thirty-nine Articles as containing the true doctrine of the Church agreeing with God’s Word and as authoritative for Anglicans today’. And he comments, ‘”Containing” is the escape clause that allows Anglo-Catholics to pick and choose which of the Articles express “the true doctrine’’’. But even he, if he were deciding whether or not to be an Anglican, (which he isn’t, of course), might conceivably welcome an escape clause that allowed him to dodge Articles 3 and 37, for example. In fact here we come to heart of the matter. For Murray seems rather unrealistically to imply that while others may pick and choose, an evangelical Anglican would unhesitatingly subscribe to all 39 Articles ex animo and con amore. (And, perhaps, that an evangelical Baptist would unhesitatingly subscribe to the 1689 Confession, an evangelical Presbyterian to the Westminster Confession, and so on). But as things currently stand this is far from being obviously so. For ‘evangelical’ these days connotes not only Calvinist and Arminian (the latter would have difficulty with Article 17, of course), but also the ‘feel good’, health-and-wealth message of the mega-churches, charismatic house groups, Emergent churches, ‘Open Theists’ (with strong affinities with historic Socinianism), and so on and so on. These are all in the 'evangelical' tent. Many adherents of these movements are strongly anti-metaphysical in their theology, strongly tending to being biblicistic and subjectivistic. Almost to a man they are critical of the ‘capture’ of Christian theology by ‘Greek thought’, and for that reason alone would have difficulty with classic expressions of the Trinity, or of the Incarnation, and with accepting ‘The Three Creeds’ referred to in Article 8 as being provable ‘by most certain warrants of holy Scripture’. But aren't 'true evangelicals' different? I wonder. 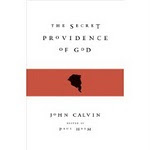 As was suggested earlier, I reckon that there are even many ‘sound Calvinists’ who do not give more than a passing thought to the positive features of the church before Calvin, to the achievements of the Patristic era or to the good things in scholastic theology. Who today among the 'true evangelicals' reads Athanasius or consults Anselm or learns from Aquinas? Such people share with the general evangelical culture of the times the idea that the only Christian eras worth speaking of (after the Apostolic era) are the Reformation and the Puritans, and the Evangelical Revival, and the era of Spurgeon and Ryle. These are the technicolour eras of the church, the rest are in sepia, or completely lost below the horizon. There is another side to this. ‘Catholicism’ stands, in the main, for an objective understanding of truth. Truth is not relative to a group, or to a person, but it is expressed in the ‘faith once delivered’, perduring through the centuries. Catholicism is after all an endeavour to express the objective truths of Scripture regarding creation, the Trinity, the Incarnation, grace, original sin, the atonement, and much else. So those who, despite important differences, are prepared to sign up to the ‘Catholic tradition’ may form themselves into an alliance which may act as a bulwark against secular relativism and scepticism, and so against those varieties of evangelicalism currently attracted to religious relativism and subjectivism in one guise or another. But such a point does not register on the screens of those who see evangelicalism, or their version of it, exclusively in terms of the battle-lines of the Reformation, or the triumphs of the Evangelical Revival. In truth, the battle of the Reformation was worth fighting. The Reformation is not over. But it is not all-important, since as it was expressed in the Reformation conflict itself it presupposed the very ‘catholicism’ that is jeopardised by the tunnel-vision of most modern evangelicals. We sometimes agonise over the question of whether Calvin was a Calvinist. But here's another question: Was Calvin a Catholic? The theological orientation or identity referred to at the start of this Taking a Line is not primarily a matter of the denominational allegiance of ministers, though this issue naturally enough figures largely in ministers’ own concerns. It is a matter of the basic character of Christian discipleship. Thought of in this way there are more choices than Murray seems to imagine. Would you choose to be in the railway carriage with an Augustinian sacramentalist, or with an open theist? To have Anselm’s Cur Deus Homo or Augustine's Confessions, or alternatively one of the writings of Brian Maclaren or Clark Pinnock at your bedside? Would you throw in your lot with someone who pays great respect to the ecumenical creeds, or with someone else who is attached to the latest evangelical fad? To the black and white certainties of fundamentalism or to a more fuzzy-edged pattern of Christian belief? You’ll notice that none of such choices is a matter of ‘liberalism’ or ‘Romanism’, or 'evangelical' , no matter what that term is taken to mean, nor even of Anglicanism or Presbyterianism or the Baptists, but of whether one’s basic orientation and sense of identity is consciously and deliberately ‘Catholic’, or something else. So the 'evangelical' piggy is in the middle. But this may be because piggy is not one animal but many. Or perhaps sometimes one, and at other times many. Many evangelicalisms, and many non-evangelicalisms; not monochrome, but pluriform. The days of rationing are over; there’s now a free market in religion. Competing and overlapping sympathies and allegiances, and so competing and overlapping choices.